Using our resume builder, you can easily create your resume in a few minutes. Our templates are designed based on standard and formal resume formats that are mostly acceptable in government and non-government organizations. 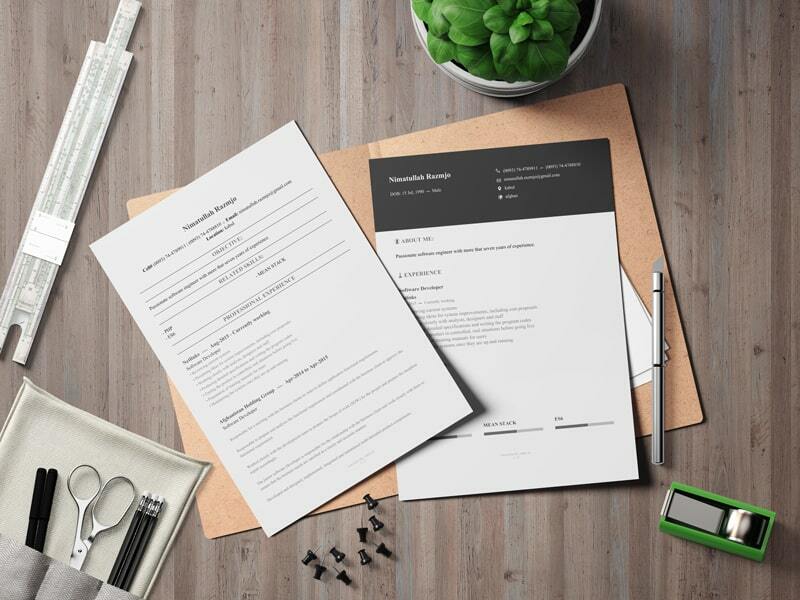 Your resume format highly affects your chance of approval. Using our resume builder you can choose among different resume formats and select one that mostly meets your needs. The only thing you need to do is to fill out the form and volah, your resume is created in PDF format. 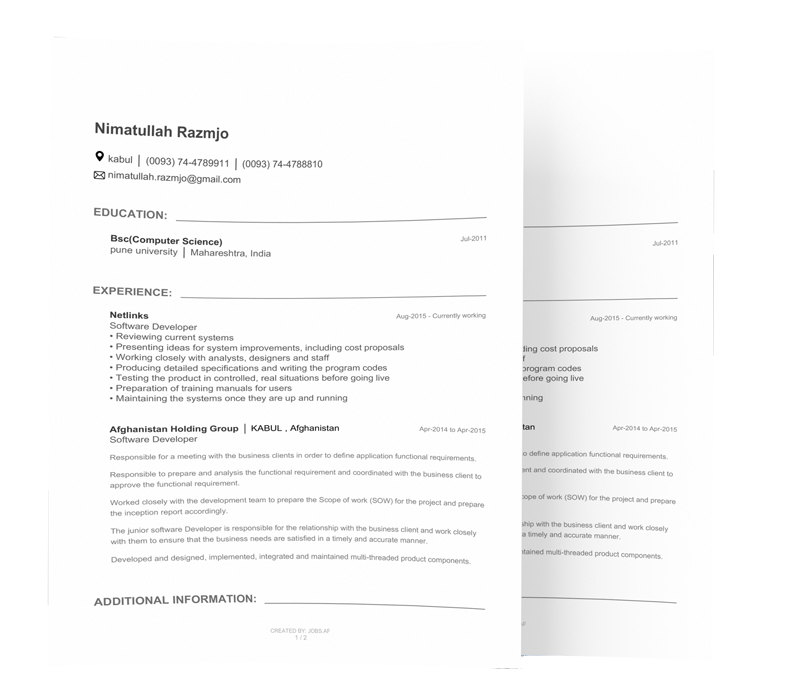 You can download the PDF and print the resume. The process is even easier if you already have an account on jobs.af website, our resume builder offers you the option to import all information from your profile into your resume. All resumes that you create will be saved into your account on jobs.af website. So don't worry about losing your resumes. You are always one click away from your saved resumes, so feel free to create different resumes for different purposes, they will be all available to you at any time. 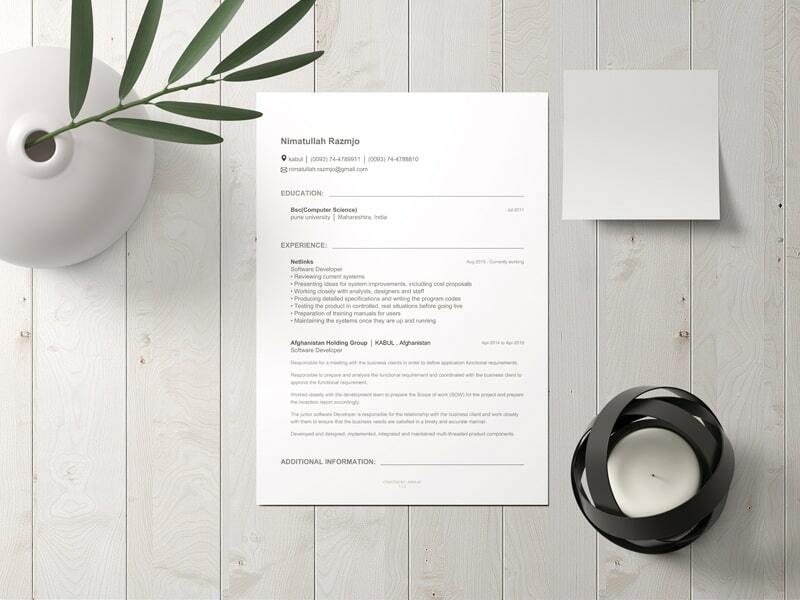 Our resume builder is totally free for everyone to use. Jobs.af doesn't charge you for creating resumes. So feel free to create as many resumes as you need. We appreciate if you invite your friends to use our resume builder system.